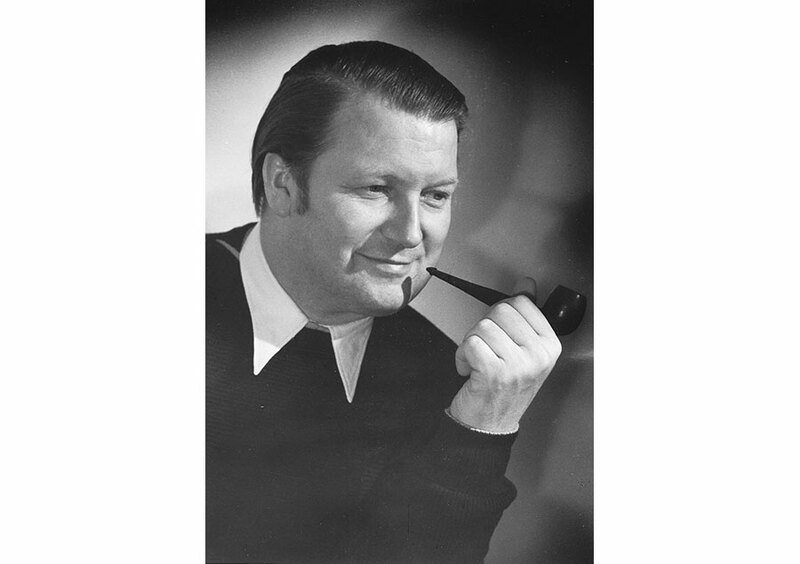 Hanns Lohrer (1912 – 1995) was a Stuttgart painter and commercial graphic designer whose works extend far beyond the topic of motor cars. During the 1950s and 60s, Lohrer played a pivotal role in the visual appearance of the Porsche brand. 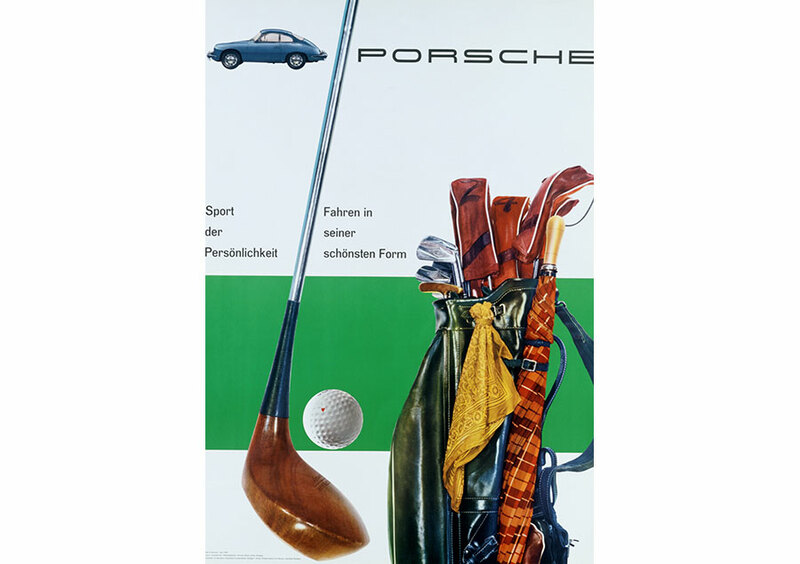 A high point within Porsche advertising is the series of posters designed by Lohrer in 1961 depicting the Porsche 356 in the context of sports such as golfing, hunting and horse riding. Typical of Porsche’s advertising during that era, the bold colors of the sports equipment dominated the sports car which was shown in small scale. The works Lohrer created for Porsche combined the brand message with the graphic designer’s artistic style. His work also includes sales brochure artwork for Porsche. The red cover page of the 1958 356A catalogue showing a woman’s hand wearing an elegant glove and handling the gear shift of a Porsche with seeming effortlessness. The poster showed a refined young lady with a poodle on its lead at the lower right, giving the headline “Powerful elegance guided with ease” a second visual meaning. The poodle was a recurring element in Lohrer’s work, and is even made the central motif of a 1960 Porsche poster entitled “I too, prefer Porsche”.